This picture was made out of 3 handheld shots merged to a HDR image. 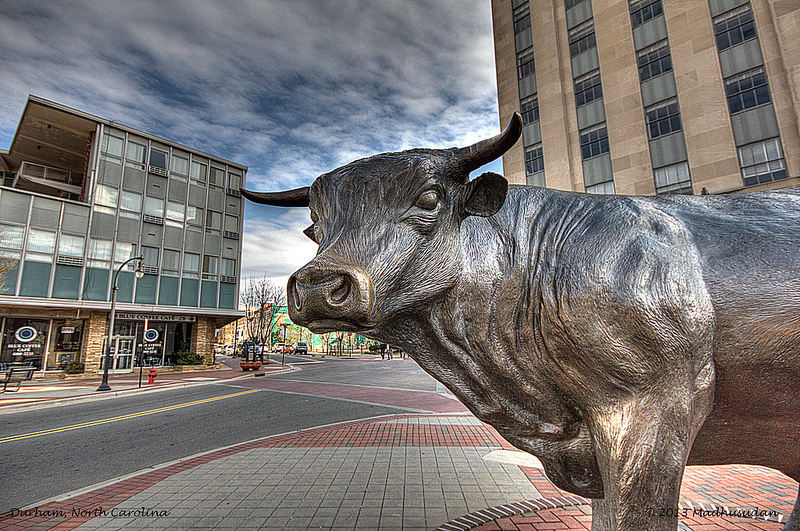 This was shot at Downtown Durham, North Carolina. Clever! The effect is quite surreal.